One of the joys of working in a community food project is the wonderful people you meet along the way. Ben Fleet is a volunteer at our community farm, a friendly chap who always brings good cheer and enthusiasm to the day. When I met Ben a few years back he was starting out as a brewer, working for Brixton Brewery (he now works at Redchurch Brewery). He would come regularly to our Wednesday volunteer days, willing to get stuck right in with the vegetable growing operation. At that time I was managing the farm and working hard to find a financial model that made us independent from grants – a tricky challenge for any small-scale farm. I was exploring how we could diversify our income and with a booming craft beer movement happening in London, I was curious to explore this opportunity. Working with Ben and his gallons of enthusiasm, we’ve done lots of thinking and research about community beer. We even launched a community hop-growing project called Grow Beer Sutton which just celebrated its first brew – more on that in a moment. In this post, I’m sharing some of the thinking we’ve done. There are many opportunities for community-led beer projects and while we would love to embrace these opportunities, we can only do bits at a time. Therefore following the co-operative spirit of Sutton Community Farm and the principles of creative commons, we are sharing our work with the aim of inviting collaborators to join us, while also hoping to inspire and support others in the community food/beer sector. Grow Beer Sutton: a community hop growing and brewing project. “Learn to brew beer” courses: encouraging people to take up the joys of brewing. Contract or “cuckoo” brewing: brewing our own-brand beer at someone else’s brewery. Microbrewery + Hop Farm: combining a microbrewery with a few acres of hops, using a field leased close to the farm. We believe there’s a gap in the market for local, heritage hops and growing them together may be a great project to complement our community farm. 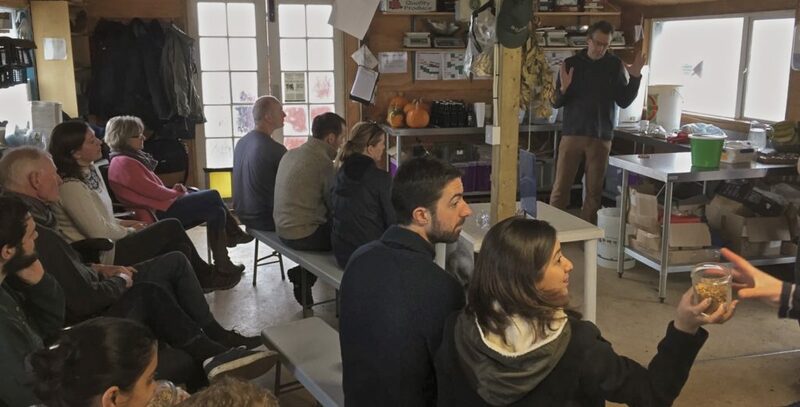 I met with Ben a few times to think through these projects and over the year, we’ve completed some detailed feasibility work on the ideas we think could work well at Sutton Community Farm. The following sections introduce this work, sharing resources that we think will be useful for other projects. In late 2013, I met Helen Steer who founded Brixton Beer, a community hop-growing project. The concept is simple: people grow hops in their gardens or local community spaces and every year the harvest is brought together on the same day and weighed in. A brewer then makes beer with the fresh green cones (normally brewers use dried hops) and the community come together a few weeks later to drink it. The project promises to be self-funding using money raised from selling the hop plants and can be repeated year-on-year as hops are perennial. Helen open-sourced the project concept, creating some great resources (available here) to help others start their own community-hop growing project. There are now many projects across London and the UK, including The Palace Pint in Crystal Palace, East Bristol Hops and Cardiff Hops. I met Helen over some beers with Ben and she encouraged us to give it a go. We didn’t need much persuading. Helen claimed the project takes about four days per year to administer, would help raise useful funds for our farm and be heaps of fun. So we went ahead and launched Grow Beer Sutton. In terms of time, I reckon we spent more than four days on the project and in terms of funds, it didn’t pay for itself once you take into account the time invested by farm staff. However it was definitely lots of fun. In our first year, 31 growers bought hop plants which were dotted around our local community as shown in the map below. 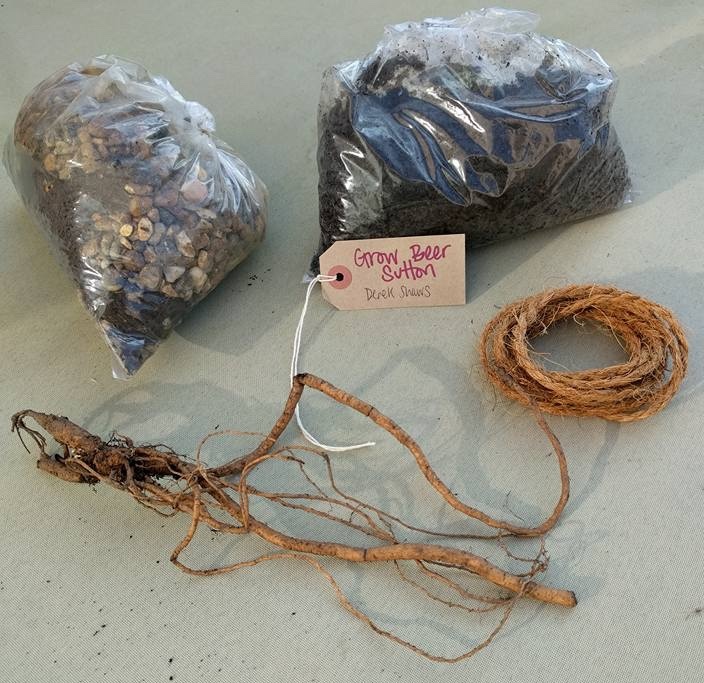 The hop packs we sold consisted of the rhizome, compost, manure, gravel, twine and some basic instructions on growing the hops. These were picked up in March, either from the farm or our local farmers market in Wallington. Before long we had reports coming in from growers on our Facebook group where we shared tips on growing hops. Some folks were having great success while others struggled to get their rhizomes established – problems with growing techniques, location, the weather, or all three! 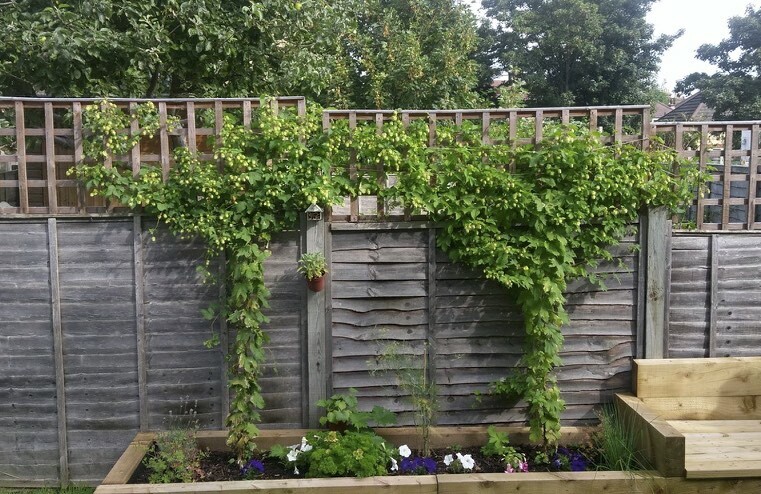 Below is a photo from the most successful hop grower Rachael, whose hops went crazy! Followed by a photo of our pooled harvest in September which weighed a respectable 2.5kg. Contributions came from many, however the majority were from our star hop grower, Rachael. 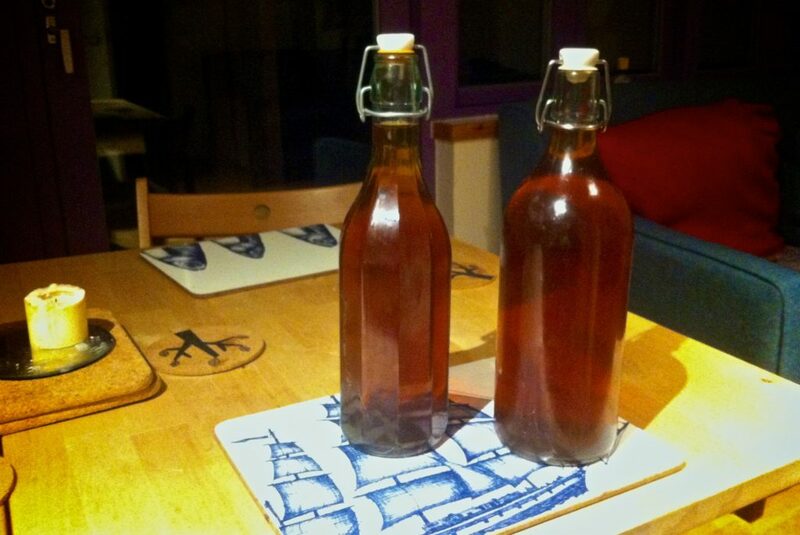 This wasn’t bad for Year 1 and plenty to make a brew. The great thing about this project is how it has introduced many new people to the farm, including those who might not normally come across us. It also gave us the opportunity to promote a crop that was historically grown in our area. As we started talking about beer, we also found many home brewers in our local community. One of them was a fellow called Rod Edbrooke who has been home brewing for 30 years. Rod offered to take the hops home and make the brew. Ben Fleet also took a batch, so we had two brews in total. Just a few weeks ago our first brew was complete and we gathered together at the farm to celebrate. Rod gave a talk about the brewing process and one of our generous volunteers made a delicious squash curry to accompany the beer. There were about 100 pints brewed in total; plenty to go around and anything leftover was bottled for taking home. I must say, this was some really great tasting beer and one of the most satisfying pints I’ve ever had! Some of the beer taken home and ready to drink! We’re now planning how we’ll continue the project in 2017, reviewing what’s worked well and how we will administer it. The farm staff are enthusiastic but extremely busy so we are trying to find volunteers to help take this on. As part of this, we’re thinking about the key tasks and how they could be allocated out. So if you’re local to Sutton and wish to help, please do get in touch (info@suttoncommunityfarm.org.uk). We would love to hear from you. Helen Steer’s excellent resources for community groups. Our Excel project planning spreadsheet: this includes a financial planning tool, not provided in Helen’s resources. Following a successful Grow Beer Sutton party, we are now talking to Rod about putting on a beer-brewing course at Sutton Community Farm in 2017. From talking with our Grow Beer participants it sounds like there will be good interest. Personally, it’s something I’m keen to attend as it’s much more enjoyable to learn a skill with others than to sit alone with a guidebook, or worse, in front of the glare of a computer screen on YouTube. This is something that should be fairly straight-forward to organise, however we need to do further work to ensure the space is suitable (health and safety) and appropriately insured. Having put on courses over the years, here’s a useful Excel tool you can download to understand the financial feasibility of running a course. Other projects may find this handy. Contract or “cuckoo” brewing is about making our beer in someone else’s brewery. ‘Cuckoo’ brewing involves a customer borrowing and using the equipment of another brewery to brew. Contract brewing is when the brewery is contracted to make the brew on behalf of the customer. This is either based on a specific recipe provided by the customer, or a customer may commissions a brew without having brewing knowledge or skill. Our proposal would be either “cuckoo” brew or contract brew, working closely with the brewery on a recipe we have formulated. This is attractive for a few reasons. First, it involves far less start-up costs than setting up a brewery for the obvious reasons of not having to pay rent, buy equipment, etc. It’s also a great way to learn more about the industry, while testing a product; the recipes and market reaction. In London, there are breweries set up to support this, such as Ubrew. 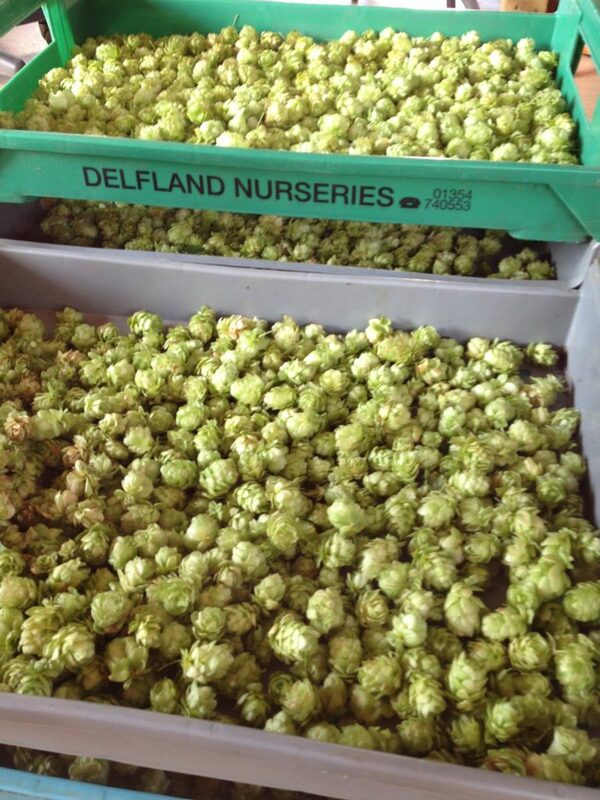 With control over the inputs, we can source local hops (or grow our own) and organic ingredients. The project could be crowdfunded with the community investing to support the project costs in advance. Resources: we’ve written a detailed project feasibility details for this project, which is downloadable here as a PDF. If you’ve had the stamina to read this far, this is where things get exciting. Working with Ben, we have invested a lot of time into researching the feasibility of starting a community-owned microbrewery in Sutton.This isn’t a new idea. There are a handful of other community-owned breweries in the UK, such as the PumpHouse Community Brewery in Essex and Topsham Ales in Devon – but nothing local to us. We’re now opening up the project feasibility work we’ve done so far, providing valuable resources for others to use. We’re sharing our work for a few reasons. Firstly, the spirit of the creative commons, where sharing knowledge can help build a more equitable, accessible, and innovative world. Secondly, because we’re not in competition with anyone and rather, we would love for others to come on board and help make this project happen. Finally and most importantly, we love local beer and think there should be more of it. To build a nano-brewery we will need additional space at the farm, which in time we expect to have available. When this happens, a nano-brewery could slot into a grander plan we have to establish a FoodLab, which would be a flexible space for other secondary production too. We’re planning to continue developing these plans and working with the farm. Over the coming years, the facilities at the Farm are likely to improve which will enable projects such as a microbrewery. Our analysis so far is comprehensive, almost to the level of a business plan, covering a detailed description of the product, the market in south London, operational plans, financial modelling and shares lots of resources we’ve found along the way. By sharing the work we’ve done so far, we hope that others may be interested in coming on board to help or at very least, other community projects in the UK will stumble across this and benefit from our hard graft. If you have any questions, please don’t hesitate to get in touch. Click here to download our community microbrewery feasibility analysis (PDF). Previous Post Is it right to put a price on nature?